Ruth Ann Good, 71, lifelong resident of Iowa City, died on Thursday, February 7, 2019 at the University of Iowa Hospitals & Clinics surrounded by her family. Funeral Services will be held at 10:00 am on Tuesday, February 12th at the Greater Iowa City Church of the Nazarene. Ruth’s family will greet friends from 9:00 am until the time of service on Tuesday at the church. Burial will be at St. Joseph’s Cemetery in Iowa City. In lieu of flowers, memorials may be directed toward the Ruth Ann Good Memorial Fund. Ruth Ann was born on August 17, 1947 in Iowa City, the daughter of Daniel and Mary Jo (Kinney) Griffin. Ruth’s nickname growing up was “Magpie,” given to her by her uncle Urban because she would talk a lot. She received a Bronze Valor Award in July 1956 for rescuing her siblings from a house fire in January 1956. Following her education, Ruth raised her family with her husband, William K. “Billie” Good, who died in 2004. For many years, Ruth worked as a housekeeper at Beverly Manor, then at the Days Inn. She was a member of the Church of the Nazarene and enjoyed volunteering her time at the church and at her residence. She was an avid photo collector, accumulating hundreds of photos and newspaper articles of family and friends. Ruth also liked to play Bingo and go to the casino to celebrate her birthday. 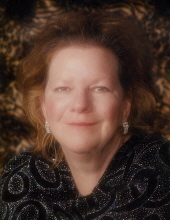 Ruth Ann is survived by her four children: Marian Good of Iowa City, Tracy Good-Downey (Jim Downey) of Iowa City, John Good of Iowa City and Lisa Good of Cedar Rapids; her 19 grandchildren and 2 great-grandchildren; her siblings: Donnie Griffin of Boise, ID, Paul Griffin (Rita) of Hills, Keith Griffin of Iowa City, Vernon Griffin (Susie) of Hills, Jean Goodnow of Bay City, MI and Theresa Williams of Iowa City. Ruth is also survived many nieces and nephews and numerous friends. She was preceded in death by her parents, Daniel and Mary Jo; her ex-husband, William K. “Billie” Good; two grandchildren and her daughter who died at birth, Brenda Lee Good. To send flowers or a remembrance gift to the family of Ruth Ann Good, please visit our Tribute Store. "Email Address" would like to share the life celebration of Ruth Ann Good. Click on the "link" to go to share a favorite memory or leave a condolence message for the family.